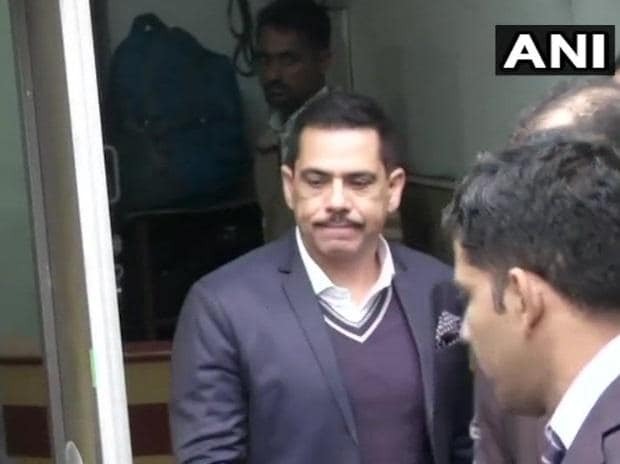 Robert Vadra, Congress chief Rahul Gandhi's brother-in-law, was questioned by Enforcement Directorate for nine hours on Thursday, the second consecutive day of his deposition in connection with a probe into allegations he laundered money to purchase illegal foreign assets. His wife and Congress party leader Priyanka Gandhi came to the ED office in Jamnagar House in central Delhi to pick him in her SUV. Vadra is expected to be questioned again on Saturday. It is understood that he was "confronted with" documents that the agency has obtained or seized as part of its probe in the case, including those linked to absconding defence dealer Sanjay Bhandari. Vadra has also shared documents with the investigating officer of the case and has assured some more will be provided as and when he gets them, official sources said. On Thursday, Vadra arrived at the ED office in an SUV at about 11.25 am, about an hour after his team of lawyers reached there. Vadra's lawyer K T S Tulsi told reporters outside the ED office Thursday his client has not committed any wrongdoing.